 Weston Hall is another venue that I was fortunate to film at in the early days of Vision Wave Weddings. Whilst studying at the Stafford campus of Staffordshire University I drove past Weston Hall every day. Whenever I drove past I always thought how grand it looked! Weston Hall has kept many of it’s original Elizabethan features, including beautiful wooden beam ceilings and grand stone fireplaces. It’s truly a stunning venue! Penny and Rob’s wedding in 2015 was my first wedding at Weston Hall. After hearing such good things about the venue I wasn’t disappointed when I got there. One thing that I really love about Weston Hall is the various rooms you and your guests have access to. First, in the summer, (or winter if you’re tough) you have the outdoor bar area – a lot of the drinks receptions happen here if the weather is good. It’s a great open space for you to mingle with your guests, before or after the ceremony. Then inside you have the ceremony room, and the wedding breakfast room, both with adjoining bars. The wedding ceremony room is beautiful and light, which makes it perfect for filming!